Just wanted to say "Hello!" 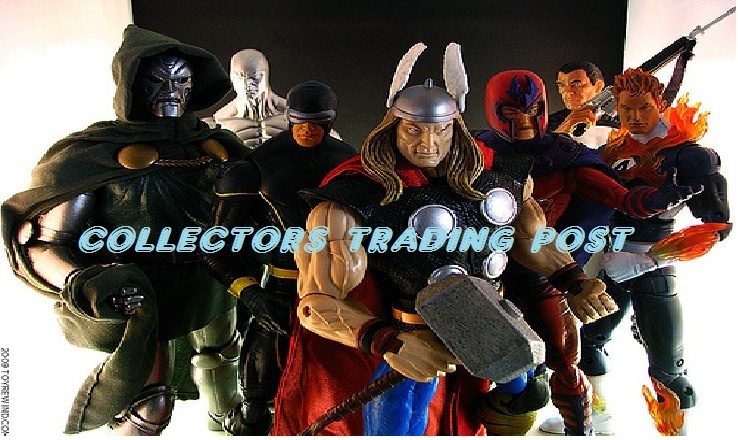 I just found this site through Facebook and am excited to join up and help out fellow collectors. I have a massive action figure colllection, but lately I have been wanting to cut down a few areas of it and focus on my favorite lines. My main collecting interests right now are all Batman related related figures in the 6-7 inch scale, anything Batgirl related (statues, figures, figurines, etc. ), Hellboy, MOTUC, G.I. Joe Sigma 6, Terminator, Horror related figures, Playmobil specials, and Doctor Who. Hopefully you'll post a few pics of your collections, and maybe share your transaction experiences with us.